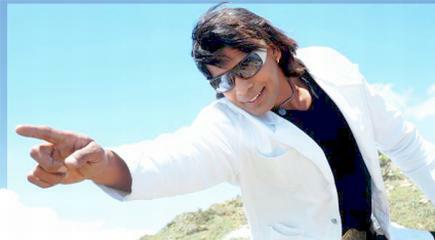 Bhojpuri producer-director Ramakant Prasad has launched his new movie Jaanwar featuring Biraj Bhatt. The recording of the songs for the movie started on Maha-Ashtami of Navratri at Trio Digital Studio. The movie is being presented by Aadishakti Entertainment and Sita Arts and is produced by Kumari Mai Movies. The movie will feature Viraj Bhatt in the leading role. Present in the launch ceremony were Durga Prasad, Santosh Singh, Niraj Raaj Podel, Bipin Singh, Rajesh-Pappu, Bala Bhai, Devendra Tiwari and Biraj.